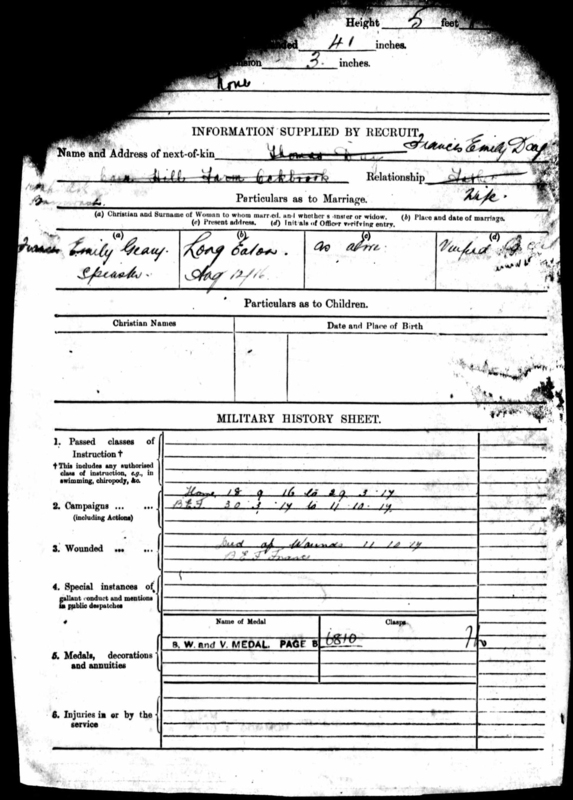 His parents were Thomas William & Lizzie Day. 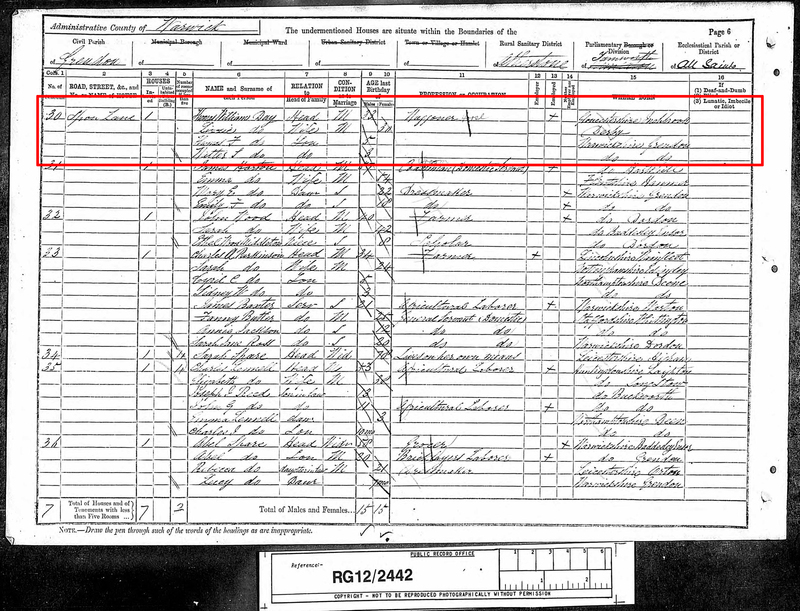 His father was a farm Labourer and Waggoner from Gloucestershire whilst his mother Lizzie was from Derby. 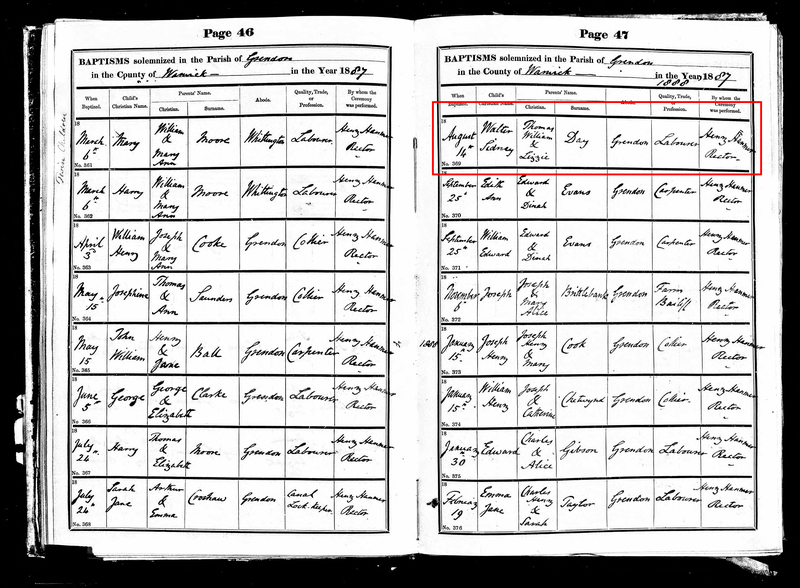 They married in 1884, possibly in Derby. 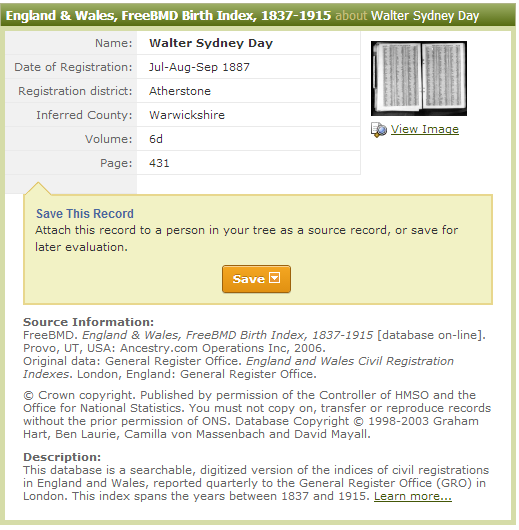 Walter had an older brother Thomas Francis, born in 1885. 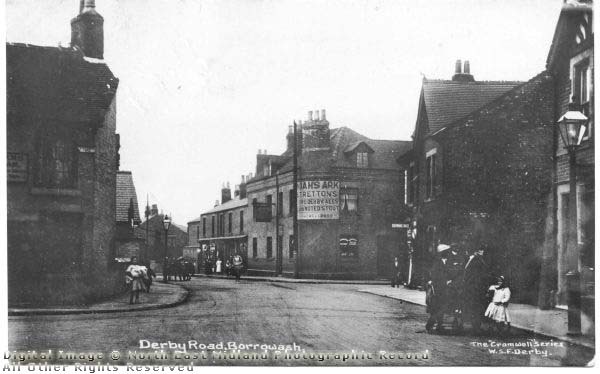 By 1901 they had moved to Nottingham Road in Derby where his father worked as a Railway Stableman (not sure what that job is). 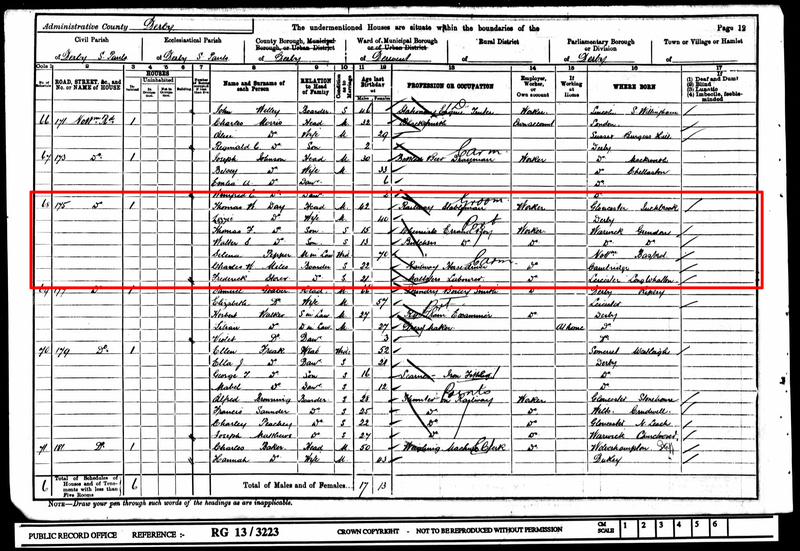 Walter himself had left school and was a 13 year old butcher’s errand boy. 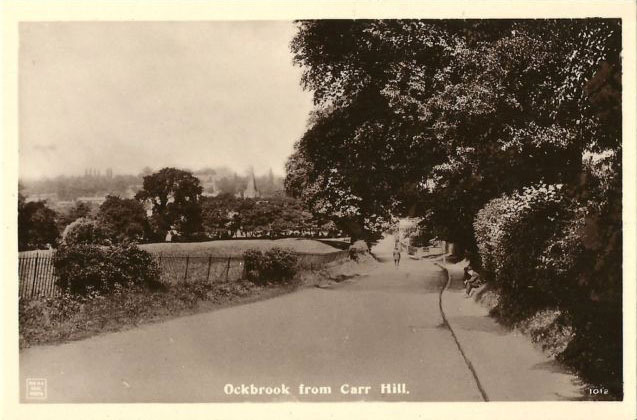 By 1911 the family had moved to Ockbrook and were living at Carr Hill Farm where father Thomas was described as a farmer and an employer. 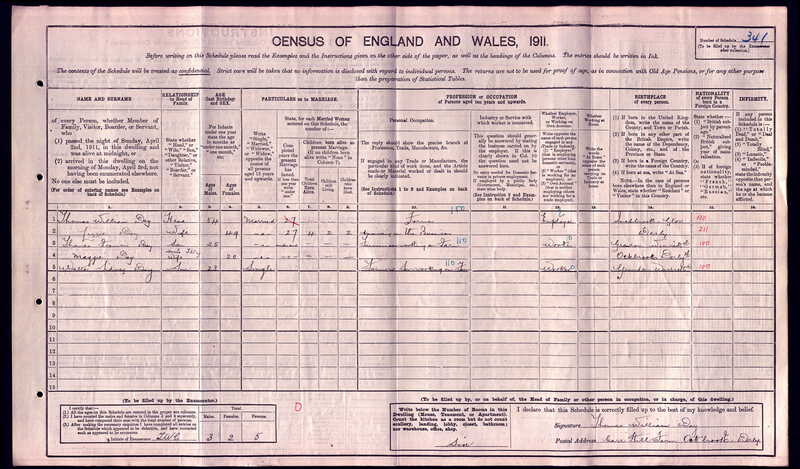 Older son Thomas Francis, recently married to Maggie, was a farm worker as was Walter himself. They probably worked on the family farm. Walker was still single at this time. 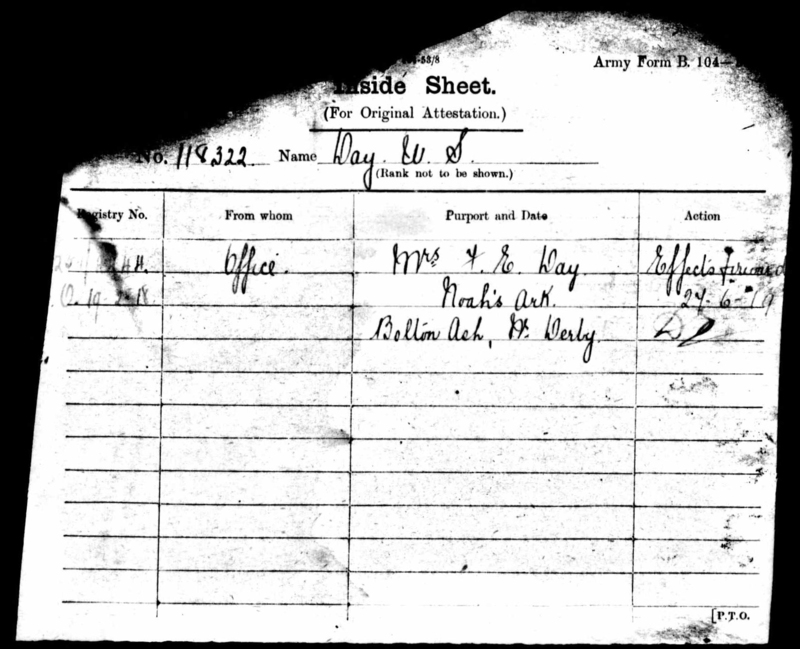 Walter enlisted in Ilkeston in December 1915 but wasn’t actually mobilised into the 295th Siege Battery of the Royal Garrison Artillery until September 1916. He was 28 years old. 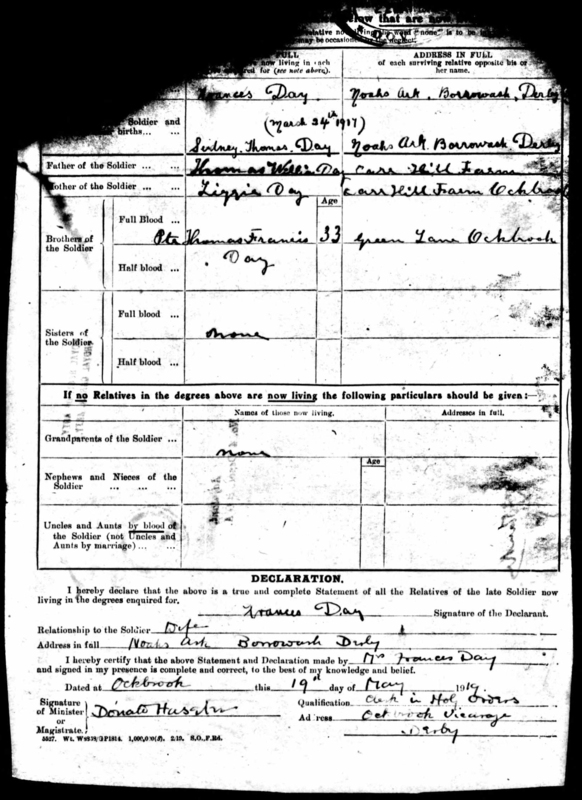 He embarked from Southampton on 30th March 1917, arriving in Havre, France on 31st March – just one week after the birth of his son! It is possible that he never saw his son, as he would probably have been in the embarkation camp ready to sail when the boy was born. 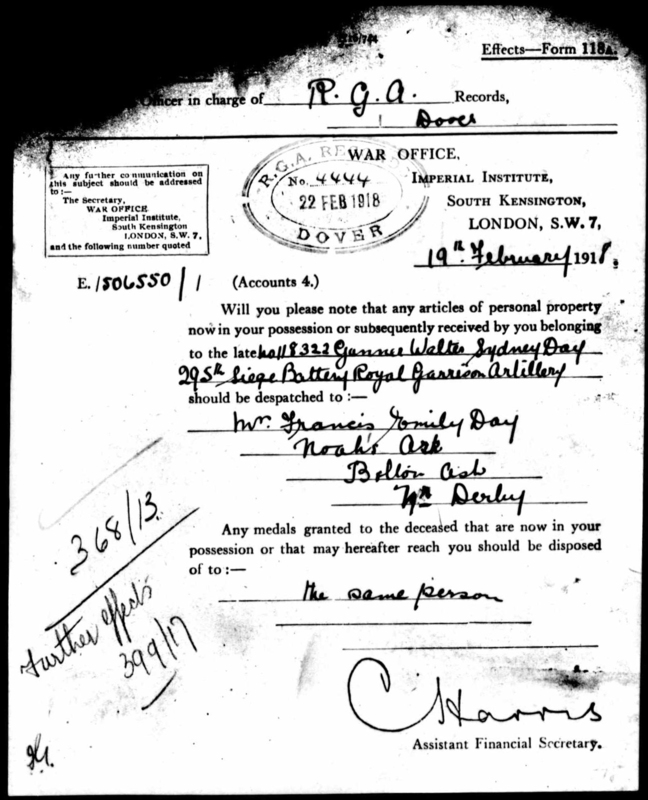 On arrival his Battery was assigned to the 2nd ANZAC Division. 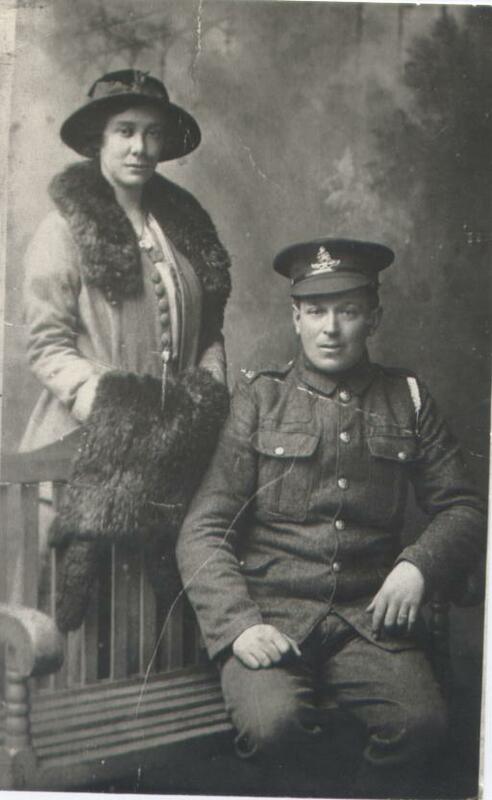 This Division was in action throughout the summer of 1917 in the Battle of Messines and, in the disastrous Third Battle of Ypres, known to us now asPasschendaele. 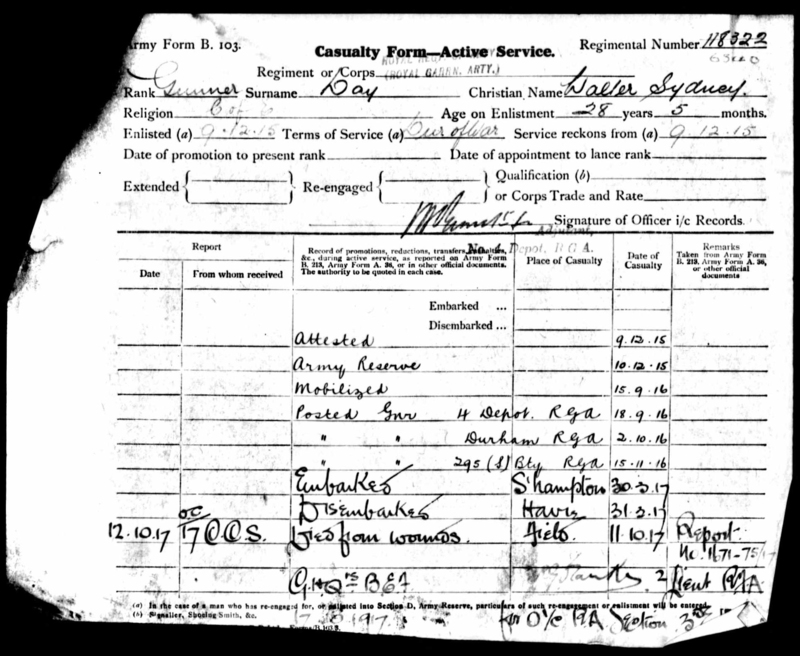 The records show that he was admitted to the 17th Casualty Clearing Station on 11th October, 1917 and died there of his wounds the following day. 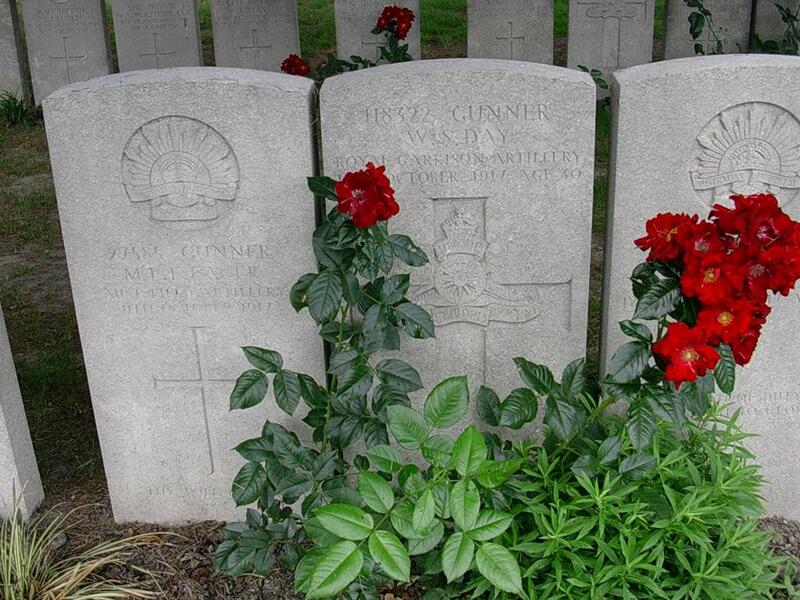 He is buried in Lijssenthoek Military Cemetery near Ypres. 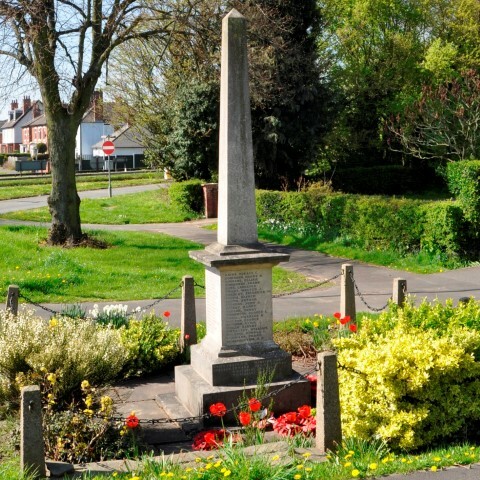 We have a photograph of his gravestone. 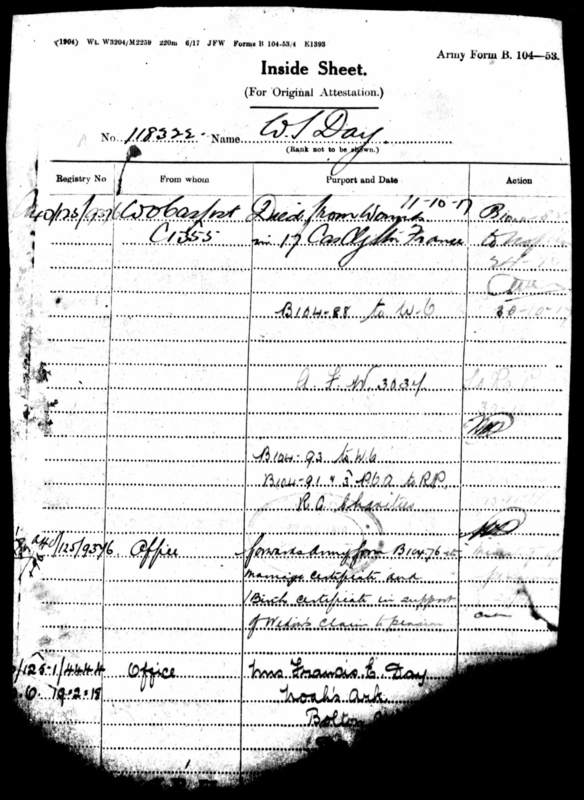 We have a good set of Service Record pages for him. Some of them are about his pension after his death. 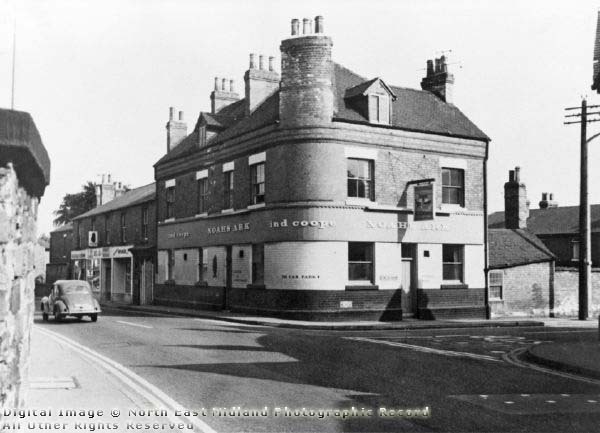 His wife, Frances Emily, and son Raymond were living at the Noah’s Ark pub in Borrowash at the time of his death. 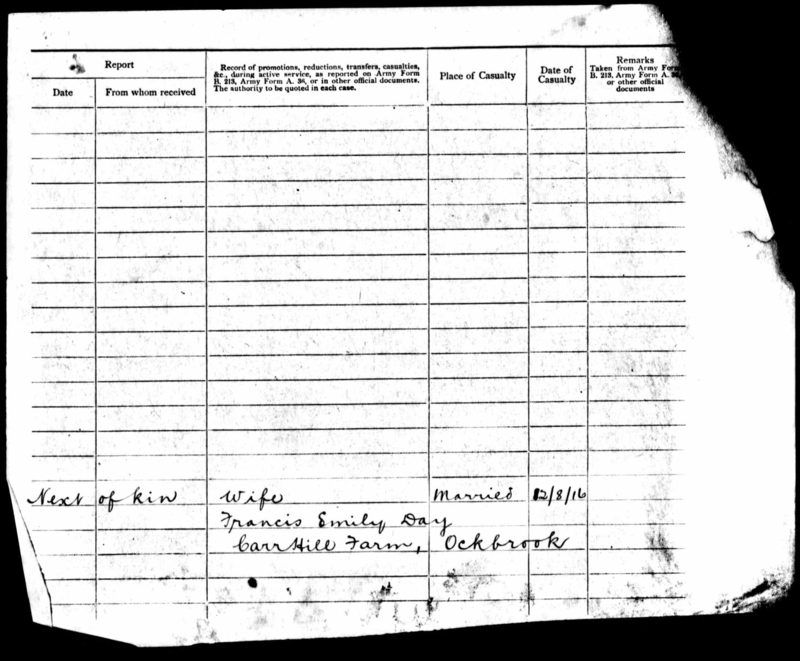 Walter’s Service Record shows that Frances was awarded a pension of 18/9 per week (about 97p a week in modern money). 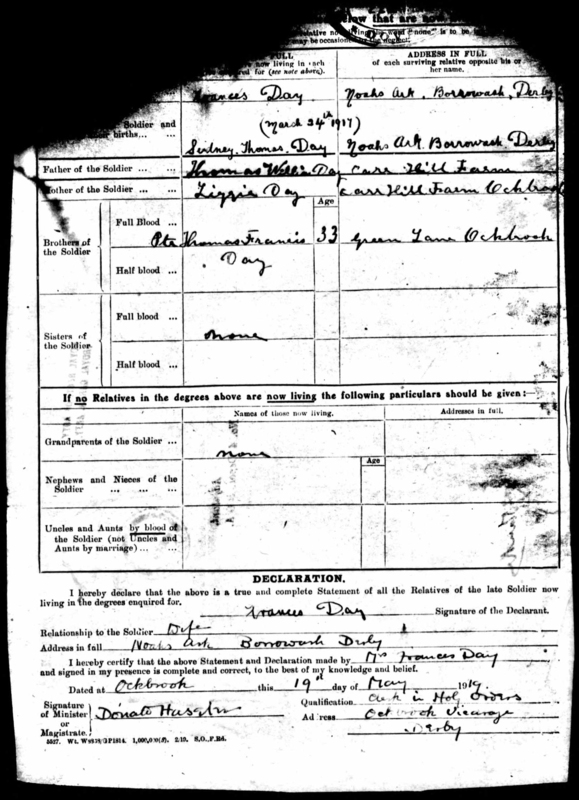 Walter was awarded two campaign medals, The British War Medal and the Victory Medal. 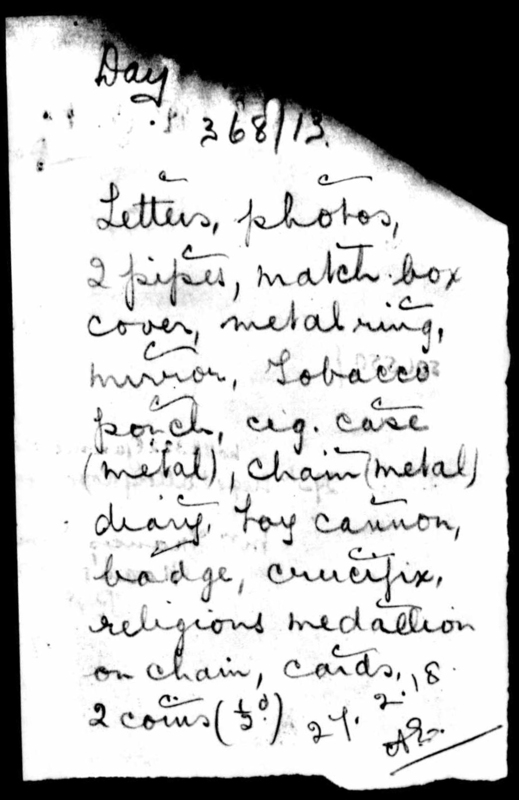 His record includes a list of his personal effects (see attached photo) which were returned to Frances after his death. 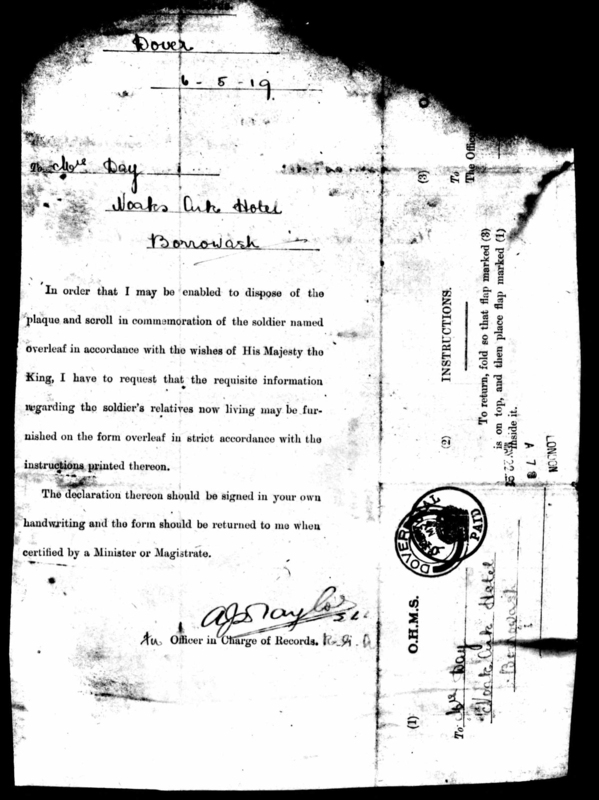 These include standard items such as two pipes and a tobacco pouch but also more personal items such as photographs, letters, a ring and a crucifix. But the most touching item of all was a toy cannon. We cannot know for sure why this was in his possession but one possibility might be that, as an artilleryman, he bought it for his tiny son who he was never to see grow up.